Japanese corporation Toshiba announced through a press release Tuesday a full range of budget laptops to be available by this holiday season. The first new series is the Satellite C600. The lineup is branded as “ideal for price-conscious students and first-time buyers looking for basic productivity at home or the office.” 15.6-inch and 17.3-inch notebooks will be made available with AMD and Core i3 CPU configurations, up to 640GB HDD, 4GB RAM, 2x USB 2.0 and a DVD drive. The laptops will start for as low as $348.99. Moving up the list is the Satellite L700 series, aimed at “families and students looking for a well-rounded laptop with greater performance at an affordable price.” The series will come in 13.3-, 14-, 15.6- and 17.3-inch notebooks with dual-core offerings from Intel and quad-core offerings from AMD, likely from the Llano chips. The laptops will come in a variety of colors as well with a base price of $454.99. Instead of going ultra high-end, Toshiba is looking in the opposite direction with the next lineup. The Satellite L735D will be a laptop designed for kids. The 13.3-inch notebook will be preloaded with safety software, parent-friendly apps and even a Harry Potter game. The chassis will include a “Neo X textured finish” to resist fingerprints and an easy-to-clean keyboard. In terms of specs, the notebook will ship with an AMD E-Series Fusion processor, 320GB HDD with impact sensor and a DVD drive for $497.99. Next up is to Satellite P700 series, which will pack laptops with performance and premium hardware for the multi-tasker and mainstream gamer. These 14-, 15.6- and 17.3-inch notebooks will use Sandy Bridge and latest generation AMD CPUs, Harman/kardon speakers, Intel WiDi and an optical Blu-Ray drive. 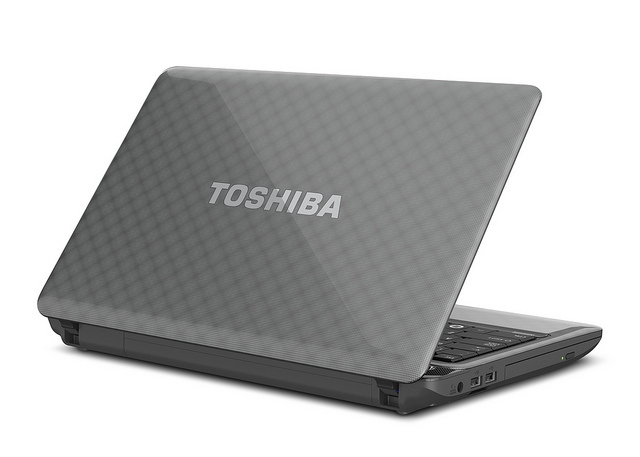 Notebooks start at $629.99 and will come standard with Toshiba’s Fusion X2 Finish styling. Finally, Toshiba rounds up the announcement with the mini NB505 netbook. 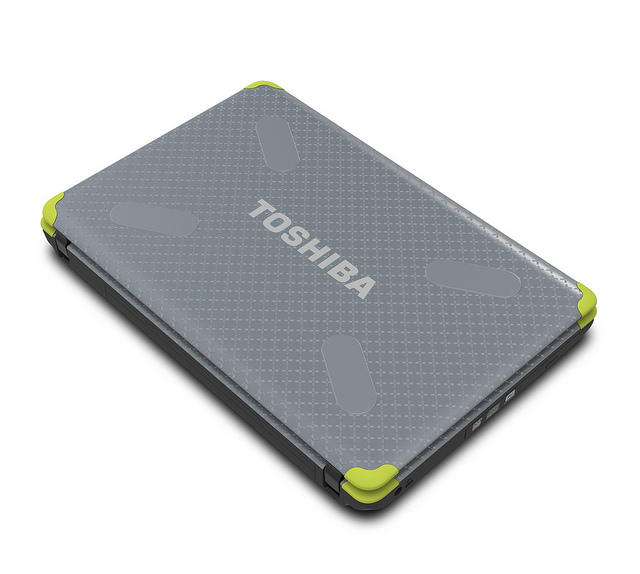 The unit will make use of Toshiba’s Easy Grip feature for portability and include an Intel Atom CPU with Windows 7 by default. Multiple bright colors colors will be made available, such as Turquoise and lime green, starting at $299.99. The Satellite C600, L700, L735D, P700 and mini MB505 series of notebooks should hit major retailers this October. Additional specs and details of each notebook will become available as launch times approach. Check out the source for more high-res shots of the laptops. 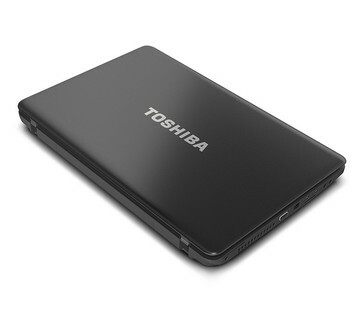 IRVINE, Calif., Sep 27, 2011 (BUSINESS WIRE) -- Toshiba's Digital Products Division (DPD), a division of Toshiba America Information Systems, Inc., today announced its full range of laptops for every budget and member of the family. From entry-level laptops for the budget-minded to entertainment powerhouses, Toshiba has something for everyone this holiday season. The entry-level Satellite C600 Series laptops are ideal for price-conscious students and first-time buyers looking for basic productivity at home or the office. Available with either a 15.6-inch or 17.3-inch diagonal widescreen display(1), the Satellite C600 Series includes configurations with AMD Accelerated Processing Units and Intel Pentium(R) or Core i3 processors. The laptops can be configured with up to 640GB hard drives(2), 4GB of DDR3 memory(3) and include two USB 2.0 ports, DVD Super-Multi drives and 802.11n Wi-Fi(R). 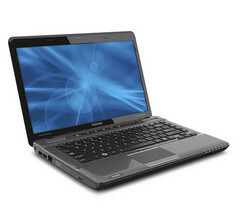 Satellite C600 Series laptops start at $348.99 MSRP(4). Ideal for families and students looking for a well-rounded laptop with great performance at an affordable price, the Satellite L700 Series are available in 13.3-, 14-, 15.6- and 17.3-inch diagonal display sizes(1). Featuring dual-core processors from Intel(R) and dual- and quad-core Accelerated Processing Units from AMD, up to 640GB hard drives(2) and plenty of memory, the laptops can power through everyday tasks with ease and are available with Toshiba's Fusion finish in a variety of colors, including Silver, Graphite, White, as well as a Navy Blue brushed aluminum on select models. 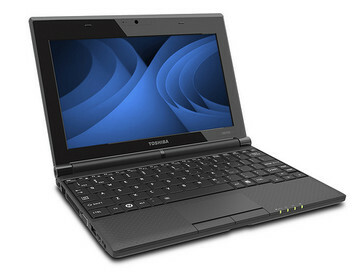 Satellite L700 laptops start at $454.99 MSRP(4). Designed in collaboration with Best Buy, the Satellite L735D Kids' PC is a full-size laptop made for children. 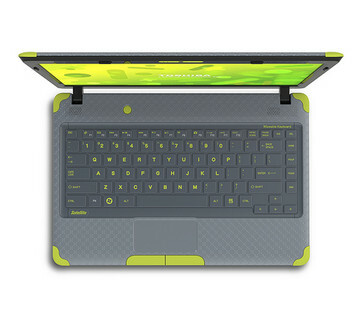 Complete with features that help parents feel better about leaving kids to compute on their own, the laptop includes built-in parent-friendly apps like The Internet for Kids, Kidzui(R) and LEGO(R) Harry Potter(TM): The Video Game. Together, they let children surf the web safely, research school projects, download and watch their kind of movies and just have more fun. 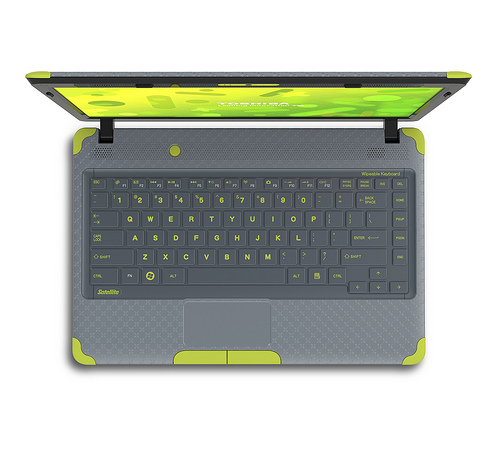 Designed with kids in mind, the laptop boasts a unique wipeable keyboard, allowing for easy cleaning of smudges left by messy hands and a no-gloss Neo X(TM) textured finish that helps resist fingerprints. For all its kid-ready features, the laptop stands out for still having the power of a standard PC with a 13.3-inch diagonal HD display(1), 320GB hard drive(2) with a Hard Drive Impact Sensor, built-in webcam, DVD drive and an AMD E-Series processor, making it a product to be used and enjoyed by the entire family. Available exclusively at Best Buy, the Satellite L735D Kids' PC starts at $497.99 MSRP(4). Satellite P700 Series laptops offer more than just a premium design -- they're packed with latest generation processor technologies from Intel(R) and AMD, plus entertainment-focused features most ideal for everyday multitaskers, avid movie watchers or mainstream gamers. Available in 14-, 15.6- and 17.3-inch diagonal screen sizes(1), these laptops feature robust sound systems, including harman/kardon(R) speakers, optional Blu-ray Disc(TM) Player(5) and Intel Wireless Display technology(6) for easy content sharing from the laptop to a big screen TV. 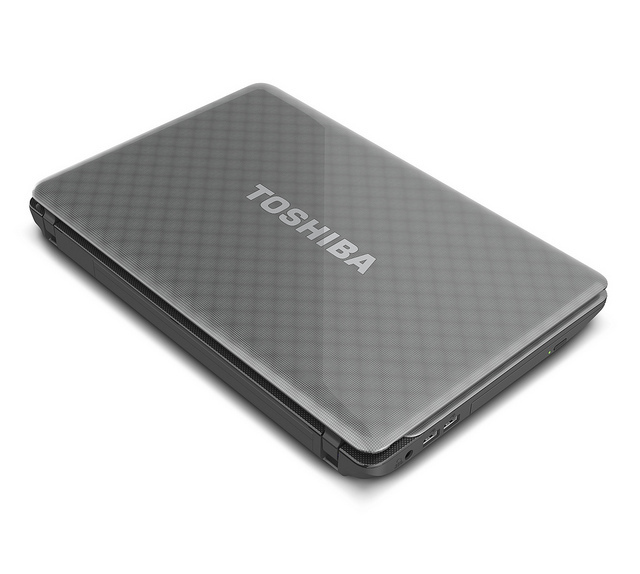 Dressed in Toshiba's premium Fusion(TM) X2 Finish that is both durable and stylish, Satellite P700 Series laptops start at $629.99 MSRP(4). 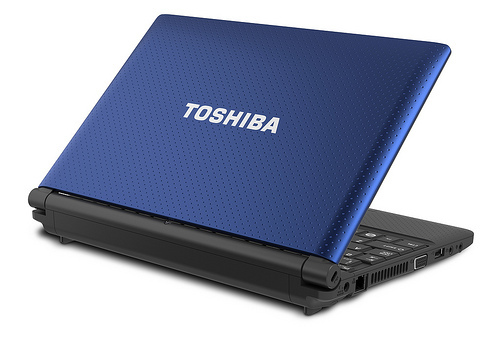 This award-winning netbook offers the familiarity of Windows 7 and comfortable clamshell form-factor in a highly-portable design. Topped by Toshiba's exclusive Easy Grip finish in a choice of five vibrant colors -- Turquoise, Blue, Lime Green, Brown and Orange -- the mini NB505 delivers great battery life, a spacious hard drive and more. Powered by the Intel Atom(TM) processor, the mini NB505 is extremely affordable at just $299.99 MSRP(4). 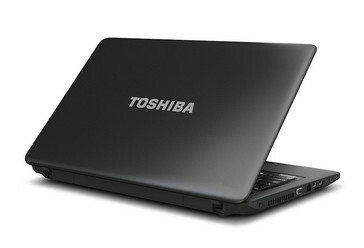 Toshiba's latest line of consumer laptops will be available at major retailers, e-tailers and ToshibaDirect.com in the beginning of October 2011. Connect with Toshiba on Twitter at twitter.com/ToshibaUSA, on Facebook at www.facebook.com/ToshibaUS and on YouTube at www.youtube.com/ToshibaUS . (C) 2011 Toshiba America Information Systems, Inc. All product, service and company names are trademarks, registered trademarks or service marks of their respective owners. Information including without limitation product prices, specifications, availability, content of services, and contact information is subject to change without notice. (4) Price. Reseller prices may vary. MSRP means "Manufacturer's Suggested Retail Price." (6) Intel(R) Wireless Display. Copy protection technology, if any, associated with the content may prevent or limit viewing of content.